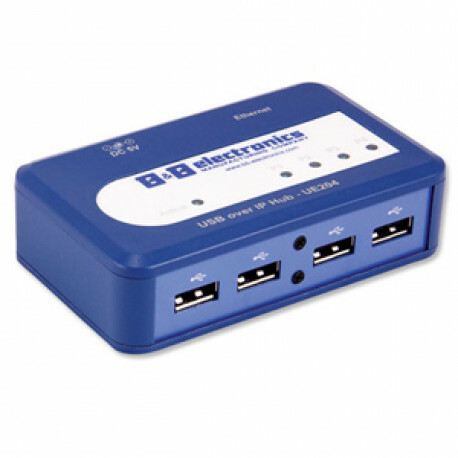 The UE204 USB over IP Server / Hub allows multiple PC’s to interact with USB peripheral devices over your local area network. Simply load the free software on your PC and it will locate the USB hub on the network and allow you to use peripheral devices as if they where attached locally. They are ideal for applications in which a installing a local PC would be to cumbersome or expensive, such as kiosks or security applications. High speed USB 2.0 (480 Mbps) and Gigabit Ethernet allows you to use high bandwidth devices such as IP cameras and some isochronous devices. The easy to use software allows for simple installation and easy setup. 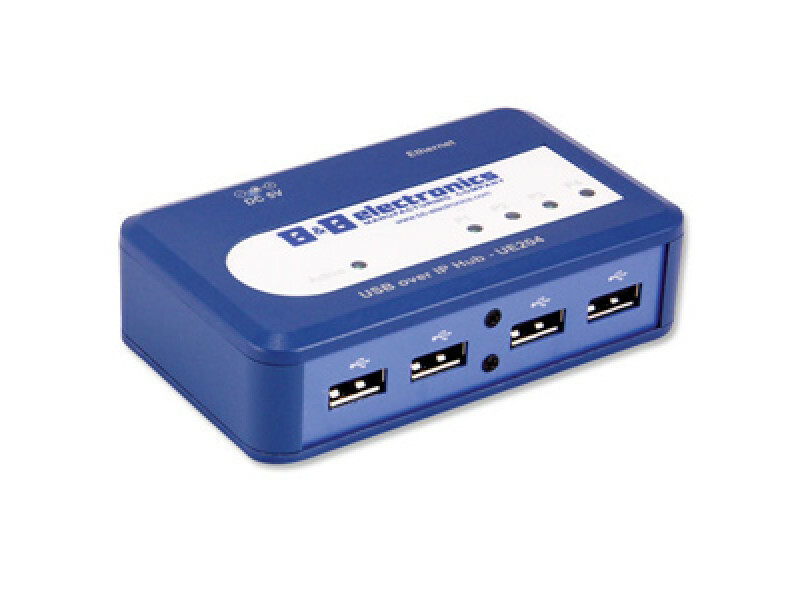 The UE204 is a simple solution for accessing remote USB devices.